When small-town innocent Longfellow Deeds (Gary Cooper) heads to New York to collect a $20 million inheritance, he ends up a target of ridicule thanks to Babe Bennett (Jean Arthur), a cynical reporter whose demeaning stories have made him the joke of the city. So when he discovers his sweet and unassuming new girlfriend is actually the hardboiled Bennett in disguise, a disillusioned Deeds decides to give his fortune away, an act of charity his crooked lawyer will stop at nothing to prevent. 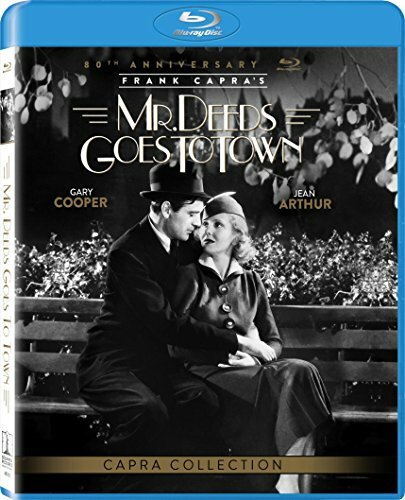 Winner of the 1936 Academy Award® for Best Director and now fully restored in 4K, Frank Capra’s Mr. Deeds Goes to Town is the quintessential screwball comedy, an irresistible blend of laughter, wit and romance.